Cahir Park is a fine example of Irish yew woodland located south of Cahir town, off the R670 road. The project site is situated on the limestone escarpment which rises above the west bank of the Suir Valley. The main focus of interest in Cahir Park is the presence of an ancient stand of yew (Taxus baccata) This stand of yew may have survived from ancient times as a relict woodland on a limestone outcrop, and may have been protected from felling by virtue of its location in the Charteris Estate. In Ireland, yew woodland is particularly rare. The only extensive stand occurs in the Killarney National Park, NPWS. The yew wood at Killarney occupies 25 hectares, which is over 50% of the national resource of this woodland type. 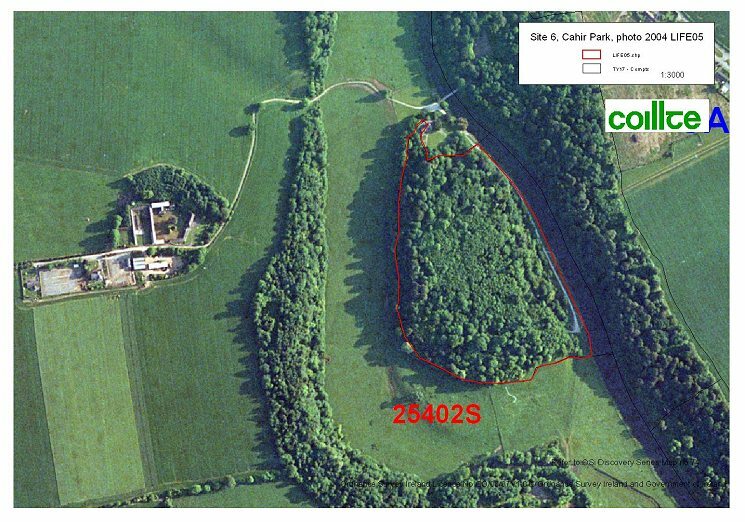 Therefore the 9 hectares selected for yew woodland restoration at Cahir Park is of national significance, and is one of the four largest stands of yew woodland in Ireland. However, planting of exotic tree species, sycamore, beech, lime and horse chestnut, has posed a threat to this priority woodland habitat. 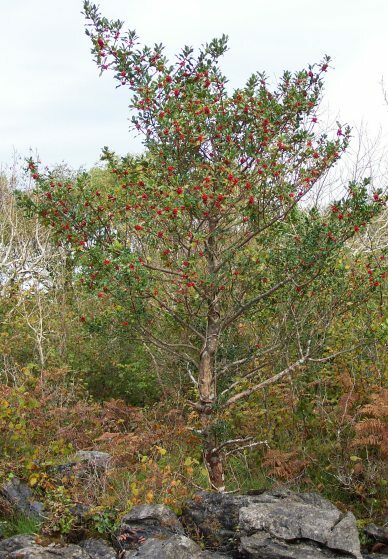 Spreading of invasive sycamore and beech through natural regeneration is particularly problematic, as it prevents regeneration of the native yew trees. Invasive shrub species are also present and spreading in extent (cherry laurel, snowberry, rhododendron and rose of Sharon). Where these shrubs become established, the native ground flora and young yew trees become completely suppressed. Some remnants of the native ground flora, however, have survived in areas where the invasive exotic shrubs are not yet dominant. Typical species of the ground layer include the ferns, (Polystichum setiferum and Phyllitis scolopendrium), with wood avens (Geum urbanum), ivy (Hedera helix), bent grass (Agrostis canina), enchanter's nightshade (Circaea lutetiana), herb robert (Geranium robertianum), lords and ladies (Arum maculatum), nettle (Urtica dioica), bluebell (Hyacinthoides non-scripta), false brome (Brachypodium sylvaticum), wood sanicle (Sanicula europaea), robin-run-the-hedge (Galium aparine) and violet (Viola riviniana). Moss flora is not very well developed but includes such species as Mnium hornum and Eurhynchium. Restoration management of this woodland requires sensitive removal of exotic tree and shrub species. Stands of yew, which show signs of minimal natural regeneration exist beneath mature beech under dense shade. In view of this, selected beech trees will be removed over an extended period of time to favour ash regeneration, which will encourage yew and other native species to develop. 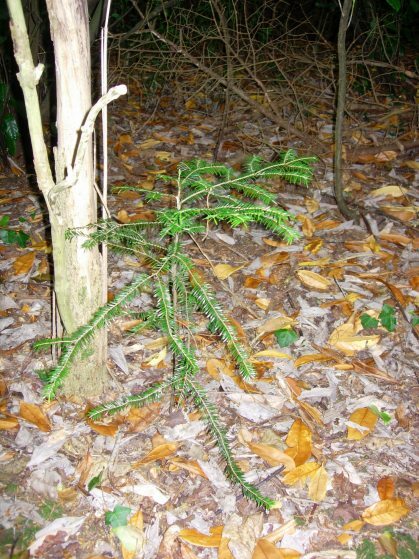 This woodland restoration technique will ensure that microclimatic conditions are retained in favour of the existing yew. 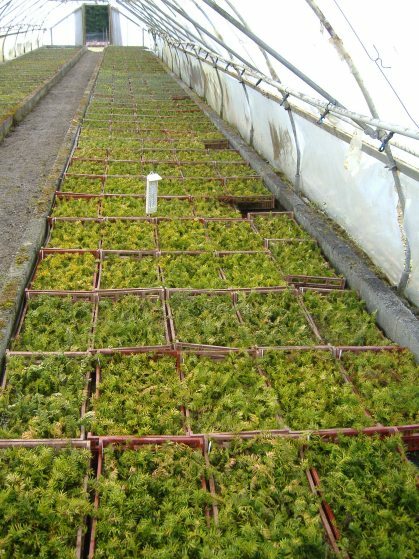 To supplement this natural regeneration, manual planting of yew will be carried out using cuttings carefully selected from local native grown stock. 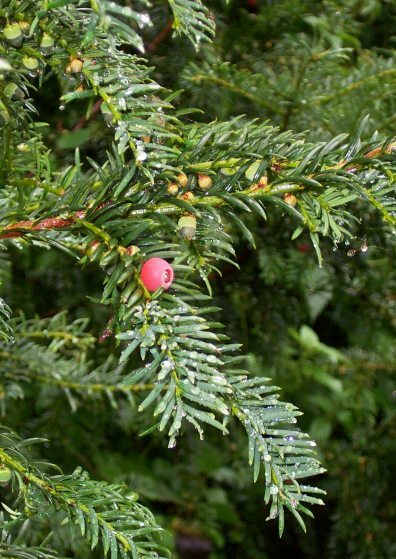 At present, yew occurs as the main tree species in some areas but also as an intimate mosaic with a broader range of native woodland trees such as oak-ash yew woodland. Cahir Park offers a unique opportunity to conserve a range of structural and functional relationships between yew and other native woodland types present. This yew stand has been described as one of the best such stands in Ireland, and is rated as being of at least national nature conservation significance. 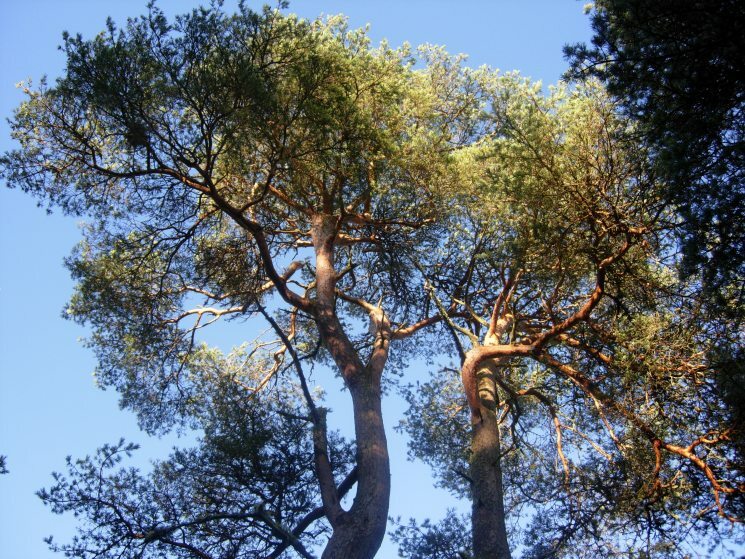 The restoration work aims to significantly enhance the ecological value of this woodland type. Yew trees, as with other native tree species, are slow growing and the final results of this restoration will only become apparent in future decades.